NBD stands for Dutch library service, the core business of the company, which performs jobs for some 900 libraries. NBD makes library books more durable by converting them from softcover to hardcover books. Using the Diamant MC Digital, each year some 2 million books undergo a sophisticated process, which is entirely touchless. The bookline changes itself over fully automatically for every new job of one to 1,000 copies around 75 times a day. That is more than double the frequency in the past using the manually operated Diamant 60. Optimally suited to short and ultra-short runs – the Diamant MC Digital Book of One at NBD Biblion. The new Diamant MC Digital is also set to boost NBD Biblion’s latest business segment – book on demand. The Dutch company, which is equipped with two digital printing presses, believes that segment offers great growth potential. NBD Biblion’s third business segment – the development of specialist machinery for print finishing – increases the positive effects of the new investment in a Muller Martini solution. 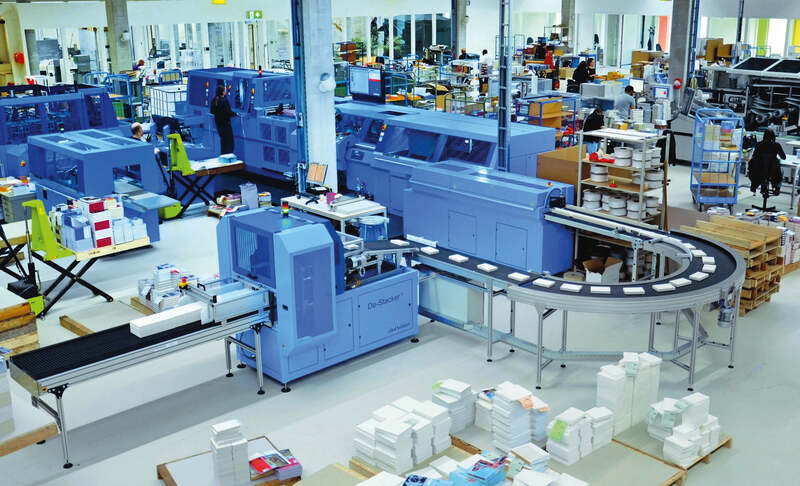 The converted single-copy book blocks enter the bookline in single-cycle mode via the specially created de-stacker. NBD Biblion is able to make full use of its skills and expertise in its core business segment. The covers are first removed from the softcover books. The spines of the book blocks are then milled, and cold dispersion glue and mull are applied. At the world’s first Diamant MC Digital Book of One bookline, the book blocks are then cased in and take their hardcover form. The book spines are then rounded and double backed, and the joint is formed.